Held at an exclusive venue and hosted by an IT or Information Security Executive, T.E.N. provides a VIP Reception format that offers direct access to IT and Information Security decision makers. 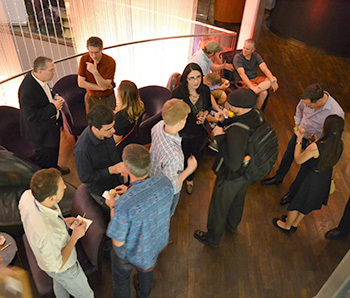 T.E.N.’s ISE® VIP Receptions will often coincide with a major conference or industry event. This allows for more intimate access to top prospects and key customers, as well as provide a way for the sponsor to maximize their large-scale conference investment. T.E.N. 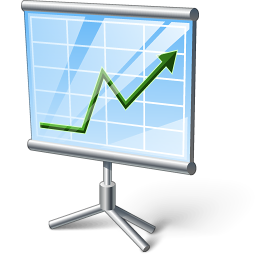 creates a meaningful program that satisfies the sponsor’s marketing and sales ROI. Guests are given a unique opportunity to establish relationships with other key industry leaders and learn about the sponsor in a private, exclusive environment that encourages discussion and relationship-building. In advance of the ISE® VIP Reception, the sponsor is given a brief profile of each executive guest for maximum preparation in order to tailor their discussions to customer objectives. Arriving guests are greeted by our professional staff, Reception Hosts, and sponsor representatives. The sponsor may have their executive representative give welcoming remarks. Recommendation and securing of the evening’s ISE® Alumni Hosts. A list of suggested ISE® Alumni hosts will be presented to Sponsor for approval. T.E.N. will invite and coordinate with the Executive Hosts. Personalized e-mail invitations with your corporate logo mailed to your customized guest list of executive decision makers on your behalf. The list will be comprised of T.E.N.’s and Sponsor’s databases for maximum outreach. Follow-up of guest list and RSVP tracking and reporting to ensure maximum attendance. Ability to provide remarks to introduce your company from one of your executive representatives. Target attendance is based on range of room capacity and are executive guests who are also executive decision makers, including hosts/speakers. Profile/talking points on each executive attendee provided in advance to Sponsor for maximum preparation. Sponsor corporate logo on attendee name badges at welcome reception event. Program and Company information featured in the ISE® Programs Mobile App which includes banner ad including company logo, social media connectivity and company description listed in the sponsor directory. Multi-Platform Social Media Program: Build and manage robust social media plan that highlights program, content, speakers/hosts and sponsor thought leaders – all designed to bring maximum visibility and generate dialogue though out all phases of the event delivery lifecycle. Onsite Photography Services – Candid and posed photos taken throughout the program and shared on social media and T.E.N.’s special event photo gallery. Sponsor will receive all event photos following the event. T.E.N. will build and manage a robust, multi-platform social media plan that highlights program, content, speakers/hosts and sponsor thought leaders – all designed to bring maximum visibility and generate dialogue throughout all phases of the event delivery lifecycle. Pop up banner stand signage at event with Sponsor corporate logo. Ability to provide product and company information (to be provided by Sponsor). Ability to provide an executive gift to attendees (to be provided by Sponsor). If the same company is sponsoring multiple events, then each event will count as one portion of the equal split amongst T.E.N.’s customers. All travel related expenses are billed at actual for T.E.N. Staff. T.E.N. will submit an itemized invoice and receipts via email to Sponsor within 15 business days following the delivery of the program. Sponsor will have the option of renewing the sponsorship for following year if new contract is executed by December 1, 2018. T.E.N. requires any sponsor of any ISE® VIP Programs delivered by T.E.N. to participate in at least one ISE® Executive Forum & Awards Program at the Kilobyte Sponsorship level or higher within the same calendar year.